India has its own, long traditions of meditation. It may therefore come as a surprise that Acem Meditation, which is based on Western culture and science, is popular in India. 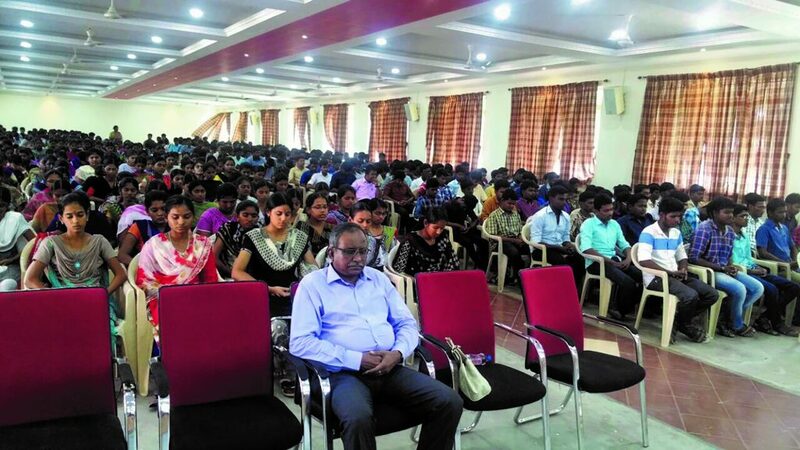 This summer, more than 2000 persons learnt Acem Meditation in Tamil Nadu, in the South-Eastern part of India. The courses were held for students and teachers at several colleges: Nandha Arts and Science College, M.A.M. Polytechnic College, and Surya School of Nursing and Paramedical Sciences. Courses were also held at the Gandhi Museum. Irudayaraj and Kalpana Jayaraj, who are assistant instructors in Acem India, led all the courses, and had a busy time in Tamil Nadu this summer. Both of them enjoyed teaching meditation and meeting the interest of so many students and teachers. Methods can be western or eastern, but meditation is the state of being and cannot be western or eastern. I don’t know this method but probably it is not much different from meditation methods which have source in thousands of years old Indian culture and tradition and therefore it is not strange that it is easy accepted in India.